Home Entertainment Finally! 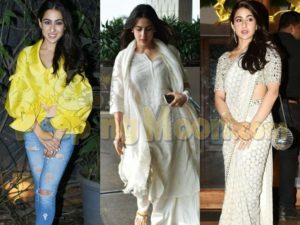 Sara Ali Khan is breaking bad in Bollywood, Know how? 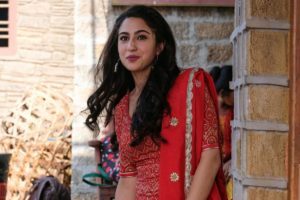 Sara in Kedarnath, her debut film. Now, she has a fresh release on previous Friday- Kedarnath. But she became a star even before her debut film with the paparazzi following her everywhere she went. The movie is much anticipated by the Bollywood bugs, just to see Sara. She has been appreciated by fans and critics alike, for her confidence and comfort. It didn’t seem like she is a debutant. Here she craps the term- “Nepotism”. She is honest, smart and beautiful. She embraces her flows and her bests with the humble elegance. On well known chat show Koffee with Karan, she talked about her PCOD and weight so conventionally. She received much praises and greetings from her girl fans for opening up about her health flows and being an inspiration for them. Sara takes her praises and attacks (which are nearly negligible) with elegance. She even can be heard calling interviewers- Sir or Mam, unlike other star kids. She has no tantrums and fuss. She wants to be off-duty, staying make-up free and rocking simple cotton Salwar-Kameez and Chappals. She’s not the one, who miss-names the President of India or end-up giving any dumb or controversial statement. Therefore, Sara Ali Khan is finally breaking the bad in Bollywood and tightly slapped in the face of “Nepotism” (which is the truth in some cases) in Bollywood. Her debut movie has started very well and her fans are already showering her with the best wishes for her next movie- Simmba. So we are.